If you live in Shepherd’s Bush and need a reliable and efficient plumber, the Handy Squad have the team for you. Since 2005, we have successfully undertaken a wide range of both simple and arduous plumbing issues to an exceptional level. You are guaranteed a customer-friendly and cost-effective service from any of our Plumbers in London. 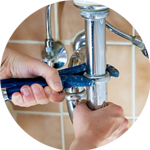 The Handy Squad have the whole capital covered, which means we have a Plumber in Shepherd’s Bush waiting for your call. 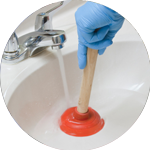 They will be at your doorstep promptly, ready to provide the very best in London Plumbing Services. Amongst their impressive skill set is the ability to undertake anything that relates to unblocking. Our plumbers will be able to offer assistance with unblocking sinks and show you how to unblock a bath. 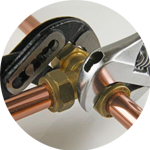 There won’t be any task that your Shepherd’s Bush Plumber won’t be able to take care of, since they offer a multitude of plumbing services which includes: local shower installations, repairing taps and anything related to white goods appliances. Shepherd’s Bush is a district in west London, located within the London Borough of Hammersmith and Fulham. The area is identified as a major metropolitan centre in the London plan. 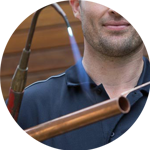 Plumbing is just the beginning when it comes to outstanding trade services provided by the Handy Squad. We also have a team of Handymen in Shepherd’s Bush to ensure any general DIY and maintenance can be taken care of. There is no limit to what your Shepherd’s Bush Handyman will be able to undertake. Their odd Jobs service means they can even handle peculiar jobs around your home or work place. We also have a dedicated team of Electricians in Shepherd’s Bush. This ensures that potentially hazardous issues can be dealt with by professional people. Our London Electricians guarantee that any light fitting installations or junction box replacements are carried out with optimum precision and care every single time.